This has been on my wishlist for a few months now, so when it arrived in the post earlier I couldn't wait to blog about it! Disaster Designs is a popular brand with various different ranges. They are all fairly similar, but their Paper Planes range is my favourite. I absolutely love to travel, but hate the stress of "Have I remembered my passport?" "Have you got the hotel tickets?" "Wait did we pick our currency up?" 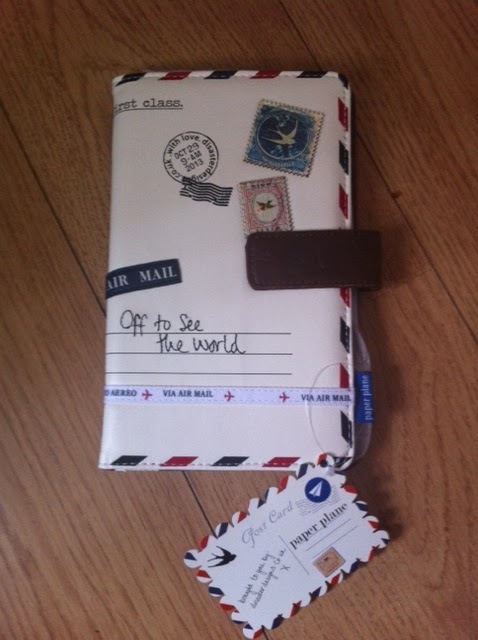 So I had been lusting after a travel wallet for some time now - one handy little place to put absolutely everything rather than rummaging through your bag having a mini heart attack! 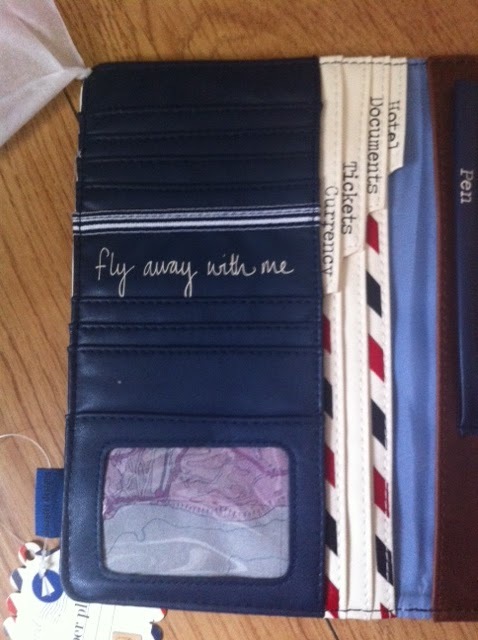 I adore the design on this travel wallet. I love anything with a bird/swallow print and thought this was really unique. It's difficult to see from the photo but there are three swallows on the brown button tab, which are so cute. The attention to detail is consistent throughout, rather than just a pretty cover. Even the back cover is pretty! Inside, there are lots of compartments so you can keep everything organised and in its place, and I love me some organisation! 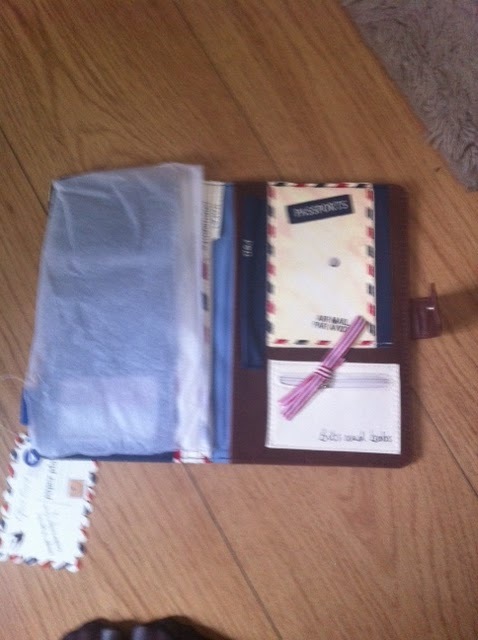 There are tabs for hotel documents, other documents, tickets, currency and passport. I'm hoping the various tabs will help me remember to pack everything, particularly these important documents! I also think I'm less likely to lose anything. 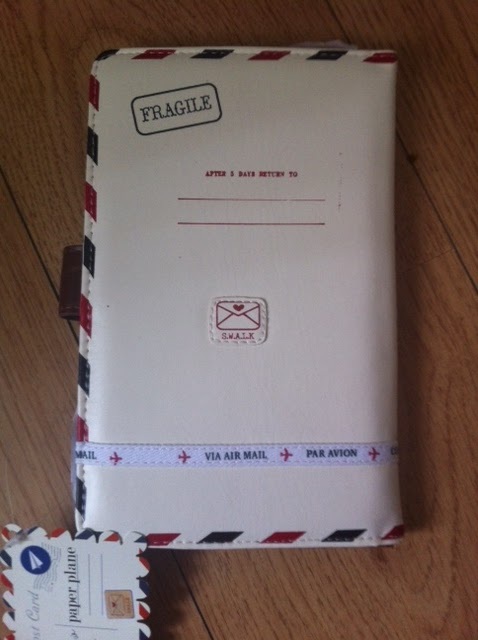 I am so pleased I purchased this travel wallet! 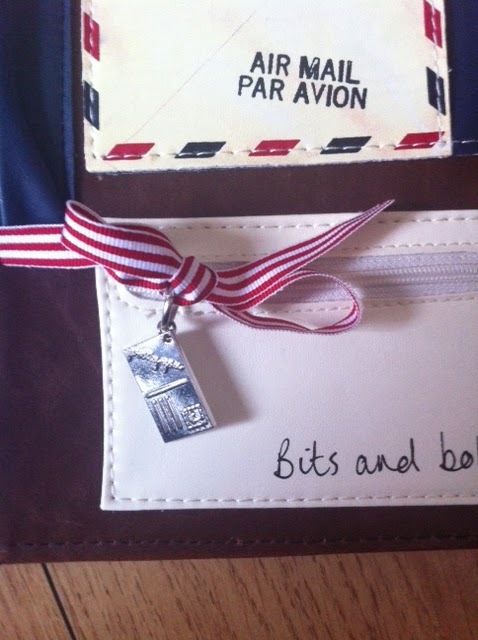 I love the attention to detail; particularly this little bow and postcard charm. This is currently in the sale for £26.31 on www.temptationgifts.com. It is a great website with brands ranging from Cath Kidston, Emma Bridgewater to Bomb Cosmetics, and The Bright Side. These are all favourite brands of mine, and the website constantly has sales on so you can get the products cheaper than anywhere else. 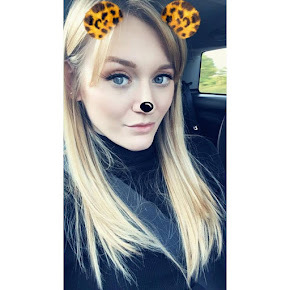 They are the best place to purchase Yankee Candles as well, in my opinion, as they are so cheap compared to anywhere else!! What do you think of my new travel wallet? Are you as obsessed with organisation as me?